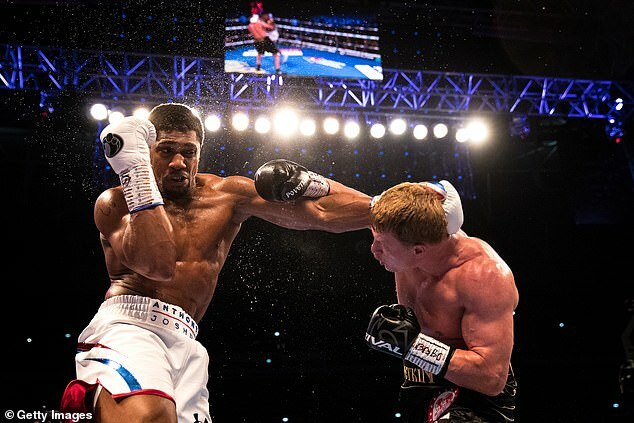 Eddie Hearn has revealed Anthony Joshua‘s preparation for his heavyweight title fight with Alexander Povetkin on Saturday night was far from ideal and he feared ‘it could all go wrong’. 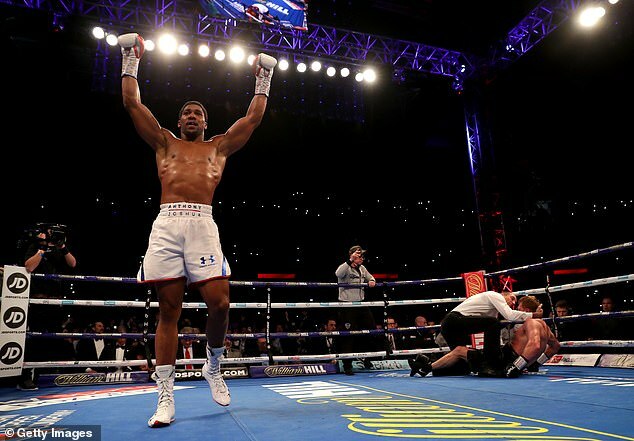 Despite Hearn’s concern, Joshua put on a dazzling performance in front of a raucous 80,000 crowd as he emphatically knocked out the Russian mandatory challenger in round seven. ‘And it’s been a horrific camp. Injuries, he’s had the flu all week and even this week I was thinking “This is just not meant to be”. ‘Woke up this morning and it’s absolutely p****** down with rain. We get in the changing room, he’s put his glove on and the thumb has gone – this is three minutes before the walk on. So changing the glove, putting it back on, re-taping it, I’m thinking “This is just destined to go wrong”. 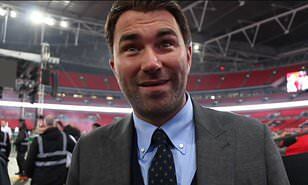 Hearn also admitted he sarcastically thanked WBA president Gilberto Mendoza after the fight for handing Joshua a ‘stinker’ of a mandatory title defence against the tricky Russian. 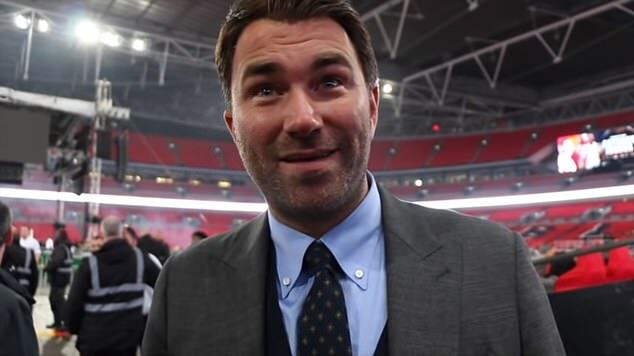 ‘In the ring he’s so relaxed and I just want to say time “switch on now” and he’s just like this (motionless) and I’m thinking “is he just relaxed or is he just not with it?”,’ Hearn added. ‘Then after the first round because I knew how tough this fight would be for him. 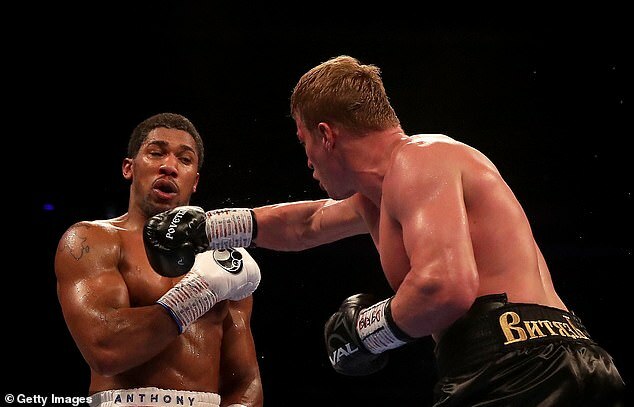 Povetkin is one of the best heavyweights in the world and they come absolutely desperate to win. ‘With the drugs test he failed in the past, who knows what happened. But I can only judge him on what he gave in that ring tonight and he deserves a lot of credit because he came here to win. There’s not many heavyweights in the world he wouldn’t beat.